Allen & Shariff Engineering is providing MEP/FP engineering design and BIM services for 690,000 SF shell high-rise commercial office building with two office towers and parking below grade. The first office tower is 19 stories tall and the 2nd tower is 14 stories tall with a connector to both towers up to the 11th floor. In 2012, the Hoffman Company selected the design team of Noritake Associates (Architect), Allen & Shariff Engineering (MEP Engineer) and Fernandez & Associates Structural (Structural Engineer) to meet the modern needs of a GSA tenant within a 1960’s era office building. The 14-story 350,000-office structure (Hoffman Building 1) is situated in the heart of the Hoffman Town Center in Alexandria, VA. To meet the needs of the tenant, plans called for a full renovation of the building that would include a radically redesigned lobby and common areas, new exterior skin and new mechanical systems. Among the challenges, the design team needed to meet a GSA ceiling height requirement of 9’-0” with a building that has slab-to-slab height of 9’-5”; not nearly enough space for the necessary mechanical systems. While demolition and new construction were considered, it was not a viable option given the schedule of the tenant. Given the restrictive floor heights, the design team’s only solution was to think outside of the box to move forward with the existing building shell. Contact us if you have a similar challenge. How did the team meet a 9’-0” ceiling height with only 9’5” slab to underside of slab as required by the GSA? Hoffman Company challenged the design team to think beyond tradition solutions to save the existing building shell. We asked ourselves what type of HVAC systems can we use that will fit with 5 inches of ceiling space? We though about new technologies available today, chilled ceiling panels and chilled beams, both active and passive. When we ran the space load calculations for the required cooling, we quickly found out that the chilled ceiling panels required almost the entire floor plate to cool the space, leaving no room for lights, outside air delivery, and sprinklers. The same would hold true for the passive chilled beams. Active chilled beams would provide the delivery method for outside air, however 5 inches would not allow the ductwork to be run out to the chilled beams ruling them out as well. Even with today’s innovations and technology, the limited ceiling height proved too much to pursue a traditional approach with HVAC systems. The Solution – Thinking outside of the box, literally! Allen & Shariff Engineering is providing MEP/FP engineering design and BIM services for 2461 Eisenhower Avenue at the Hoffman Town Center. 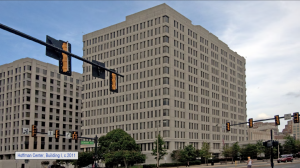 Allen & Shariff Engineering, will provide M/E/P engineering consulting and design services for National Science Foundation Tenant fit out of approximately 597,000 sf. 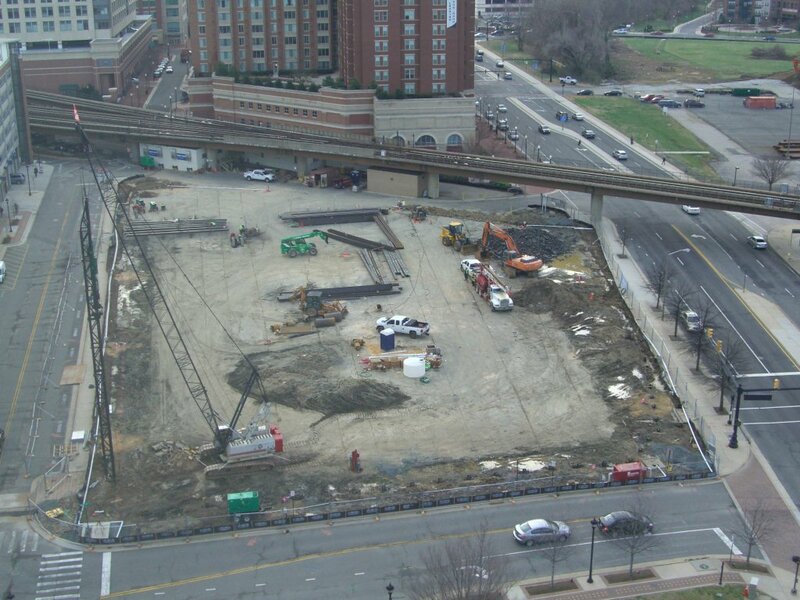 The project is to be a fit out for the GSA National Science Foundation (NSF) Block 8 in Alexandria, VA.